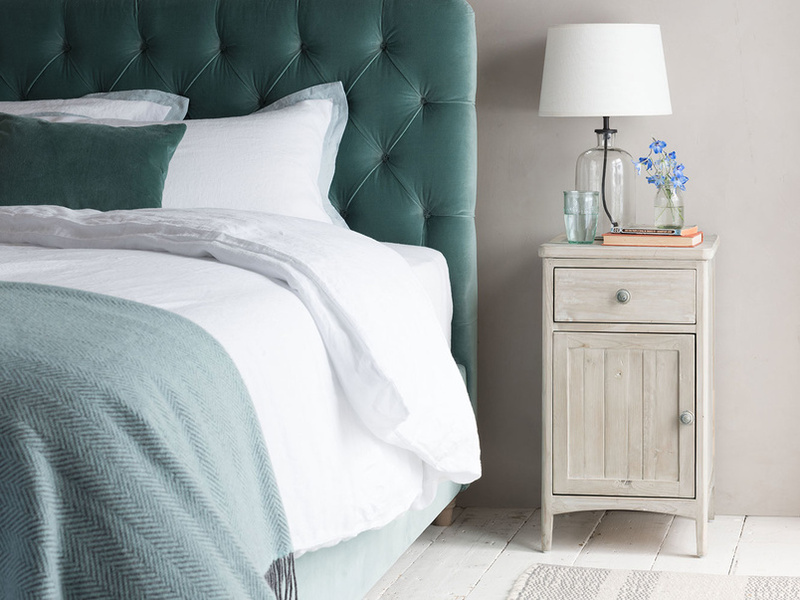 Did you know that the average UK home has twice as much clutter as 30 years ago? A combination of mass consumerism and busy lifestyles means that we happily buy new things as and when we feel like it, but struggle to get to grips with discarding our unwanted or worn-out items. Yet, a cluttered home is stressful and distracting, creating extra work and adding to the feeling of being out of control. Having a clutter-free home can be easier than you think. It’s not about being obsessively tidy; it’s about having a place for everything and following simple systems to ensure you don’t get swamped with everyday ‘stuff’. 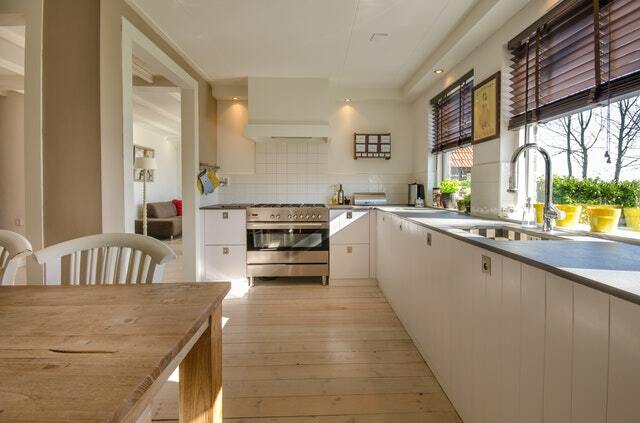 What’s more, spring is the ideal season to tackle all the clutter in your home and view it with fresh eyes. With the Hour Hands 30-day plan, you can start today to work through your home systematically and get rid of any clutter. And don’t forget, if you’re short of time then Hour Hands can take care of your decluttering project – from a cosy understairs cupboard through to overflowing lofts and garages. Contact us to find out more. The plan sets out to purposefully assess each area of your home and possessions, paring down to what you truly need, use and love. Everything else can be sold, donated or taken to the recycling centre. Although the idea of decluttering all of your home can be overwhelming, breaking it down into bite-sized chunks makes it easier to achieve. At the end of 30 days, you’ll have discarded 300 things that you no longer require. Imagine the effect that this will have on your home and life?! This 30-day plan is designed so that every day, you’ll know exactly what to work on. It takes you step by step around your home, highlighting individual tasks as a guide. It can also be switched around to suit your lifestyle. If you know that an area like your loft is going to take more than 30 minutes, plan to complete that when you have extra time to spare. Similarly, pencil in the less time-consuming tasks during weeks when you have a busy diary. Designate an area of the house to store all the items that you’re decluttering. This could be in your garage, or a guest bedroom that’s rarely used. You’ll need to have enough space to store a good number of boxes and bags, and to be able to separate things into ‘sell’, ‘donate’, and ‘dump’ piles. Find some large boxes or bags for the items that you wish to donate or throw away. Plan the tasks around your calendar. Once you’ve done this, put your list up on the fridge so you’ll see it daily and have easy access to it. Cross off tasks on the list as you go. 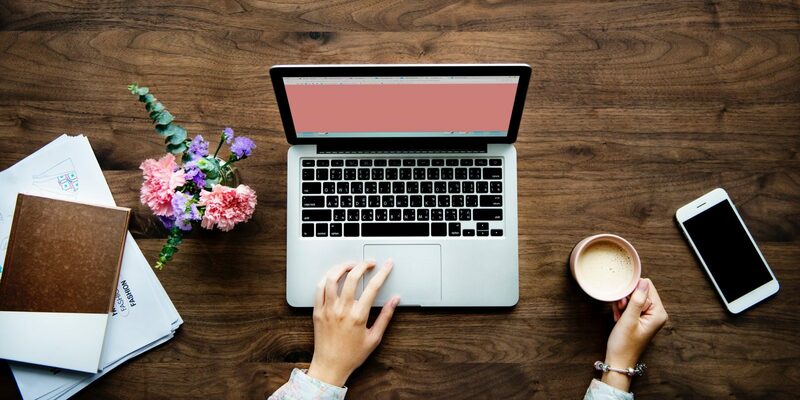 This will help you to track what you have and haven’t done, but it will also provide encouragement and motivation as you see how much you’ve done. This should give you a sense of momentum to keep going and complete the plan. Do I find this beautiful or useful? What is this clutter costing me in terms of stress, cleaning, storage, maintenance? Is it adding to my life or taking something away? How long has it been since I actually wore it, or used it? If the answer is more than six months ago, then ask the following: Do I care about it? Will I miss it if it’s gone? Again, if the answer is no, the chances are you can clear it from your home. Throw away expired medication, hair products and cosmetics that you don’t use. Get rid of the empties in your shower. 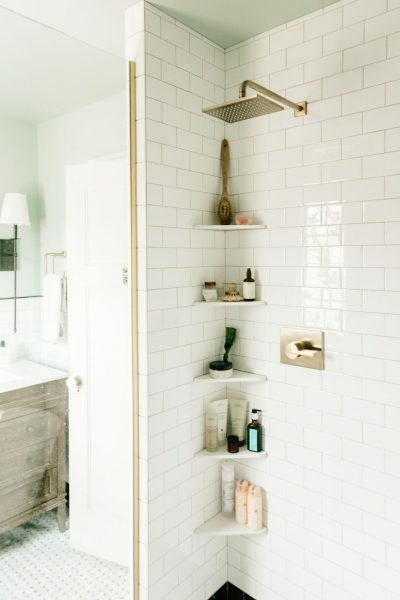 Invest in a shower caddy or some shelves to keep everything organised and in one place, such as this from Wit and Delight (pictured). Go through your makeup and reassess some of the items – throw out anything that’s out of date or you don’t use. 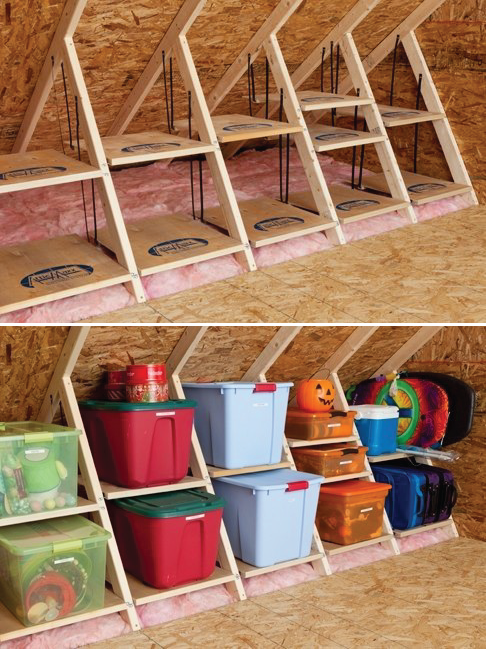 Invest in a storage system to keep everything in order. Take stock of what’s in the cupboard – fold and store the items you wish to keep, and consider donating to charity any items you haven’t used in the past year. These tend to collect books, water glasses and electronics, along with dust! Clear it off, wipe it down and leave only the bare minimum. This unit from Loaf (pictured) has excellent storage. Open every drawer, refold messy clothes and match every sock. Start a donation pile of any clothes you no longer need. Use drawer dividers to keep your sorting on track. 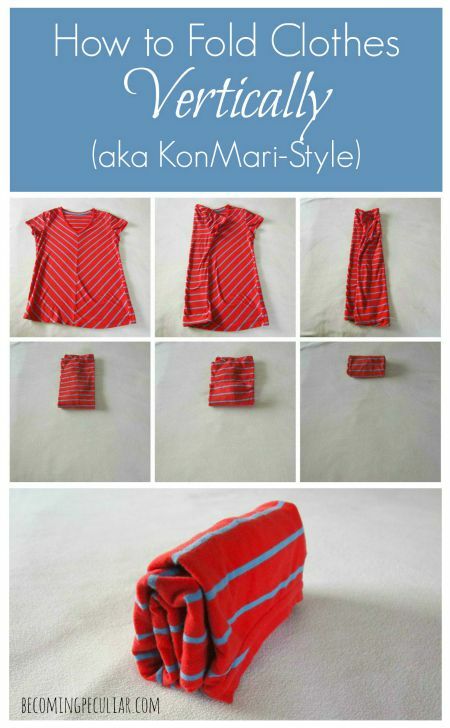 And try folding your clothes with this tried and tested Kon-Mari style (below) to allow you to see your things more easily. Take everything out of your wardrobe and assess each item. If it no longer fits, you don’t like it, or you haven’t worn it for six months or more, donate it to charity or sell online. Separate your clothes into two seasonal piles – autumn/winter and spring/summer. Store the relevant season in your wardrobe and pack away the other in your loft. This will keep you from feeling too cluttered. Check both the front and rear entrances to your home. 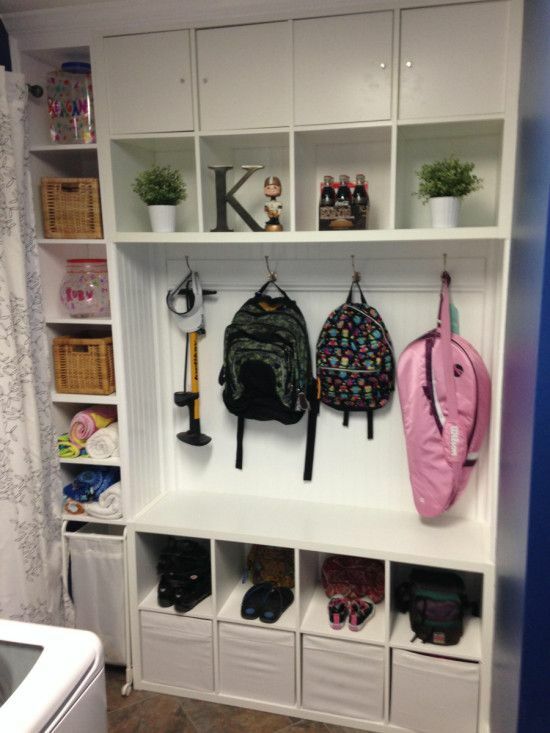 These often harbour a lot of clutter, as kids kick off shoes and drop school bags as soon as they come in. Try to come up with some kind of system and storage that makes it easy to tidy shoes and bags away easily upon arrival. This is often an easy dumping ground or hiding place for various things. Take everything out and sort through it, separating coats into autumn/winter and spring/summer piles. Store the relevant season in the cupboard and the other in the loft. Find a suitable storage system for accessories such as hats and gloves, reducing the chances of them ending up on the floor. Empty each drawer, sort out the unwanted items (old baby spoons, the chopsticks you keep after every takeaway…), brush away the crumbs and wipe the drawers clean, before replacing with only the items that are most used. At Hour Hands we swear by a ‘bits and bobs’ drawer for all those miscellaneous items, but do sort it regularly to prevent it from overflowing. 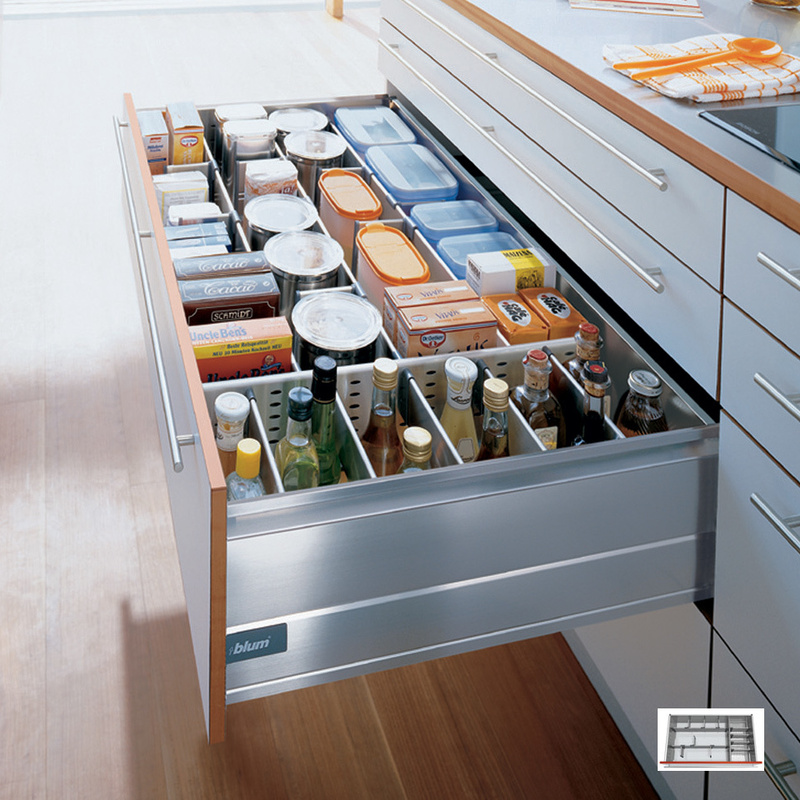 Drawer dividers will keep it from becoming too jumbled. Take time to straighten each cupboard and place items away in a strategic fashion – pans and serving dishes near to the cooker, all your baking equipment together, etc. Take this time to also throw away any mismatched Tupperware, things you don’t use (fondue set, anyone?). Ikea and Lakeland have some fantastic solutions to make the most of your cupboard and drawer space. Give your store cupboard an organisational makeover. Order canned goods by type, check use-by dates and get rid of foods nobody will ever eat. 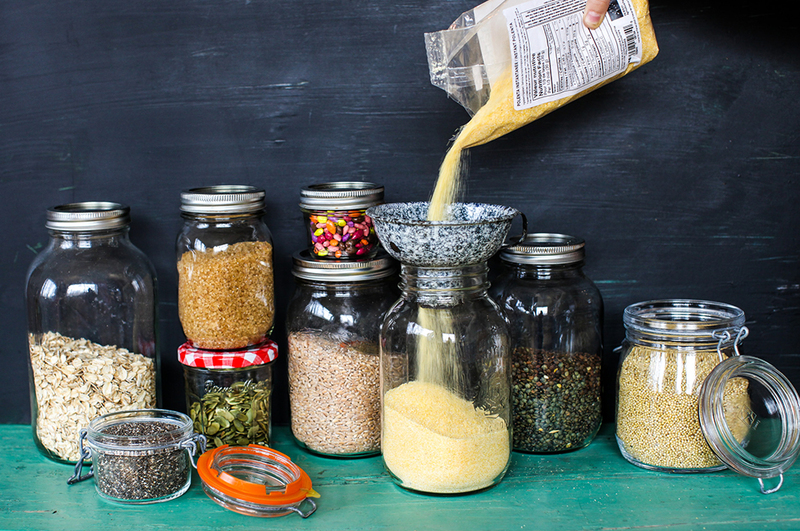 Store baking goods such as flour and sugar in glass storage jars that you can label. This way, you can clearly and quickly see what you are running low on. Place a memo board inside the cupboard door, where you can scribble down anything you are running low on as you use it. This will make writing your weekly shopping list much quicker and prevent you over-buying food. This is often where the really out-of-date items lurk! Take the time to check dates and throw away any past their best. Keep a note of those that you use regularly and stock up on fresh ones if needed. It’s likely that your fridge gets a mini sort-out each week when your groceries arrive. However, we often forget about the condiments and other fridge staples. Take everything out of your fridge, give it a good wipe around and then check the date on everything as you put it back. Do the same with your freezer; invest in some freezer bags or plastic containers to store peas and sweetcorn, to prevent them escaping. Bin any unidentified frozen leftovers that you’d forgotten about and commit to labelling with the contents and the date in future. The general advice is to store leftovers for a maximum of three months in a freezer and three days in a fridge. Go through the items you store under the sink and check that you actually use all of them. Often this area can get jumbled as you are trying to fit items around the pipes. 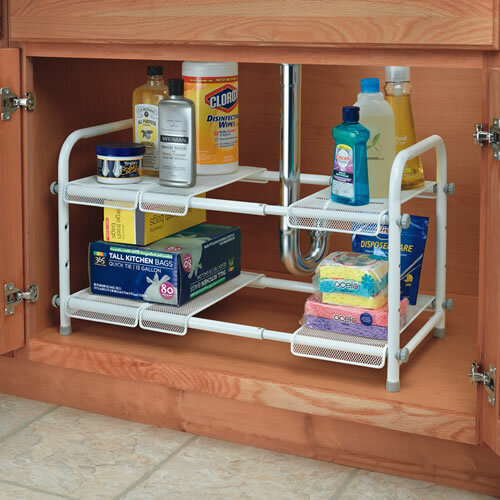 See A Place For Everything for some great under-sink storage solutions, such as this one (pictured). The laundry room is a space that often accumulates piles of clothes and random items. Keep it as organised as possible by using boxes and shelves for all the items that you want to keep in this area. A fireplace is lovely – except when it’s covered in clutter and junk! If your mantel is a storage place for DVDs, books, post, and other items that don’t belong there, try to find a place for them elsewhere and rediscover the beauty of a roaring fire. Bookshelves are great for storing and displaying books, art, family pictures and more. But over time, they can easily start to gather extra clutter that makes them look less attractive. 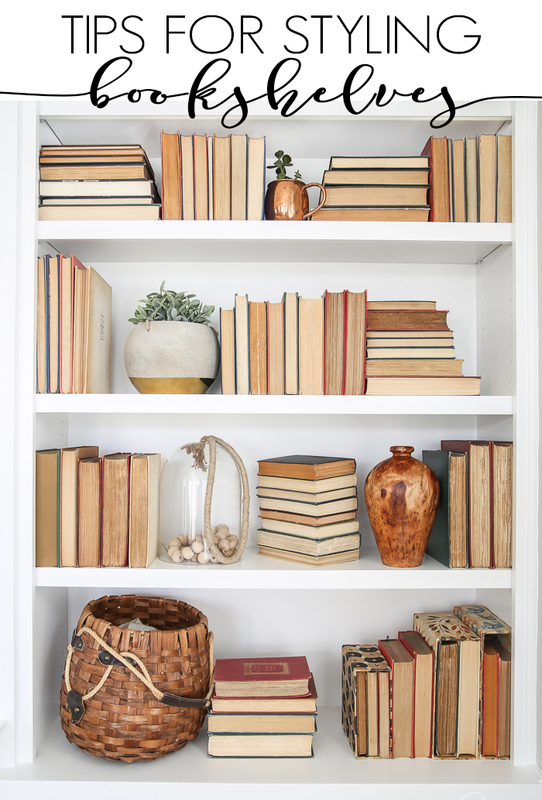 Give your bookshelves a glance to see if there’s anything that doesn’t belong, and check out these styling tips. Go through each item of furniture with drawers and shelves. Do you really need its contents, or can they be stored more efficiently, or consolidated? This often gets filled with TV guides, catalogues and newspapers. Go through this and recycle any out-of-date issues. Aim to keep only the most current copies of each item. Invest in some beautiful stationery to keep office paperwork in check – this article has some great ideas. Kids grow, grow, and grow some more! Go through their wardrobes and assess what fits and what is wearable. Donate or sell the rest. Toys are a really big source of clutter. Get your children to go through their toys with you and work out together what they have outgrown, lost interest in, or broken. 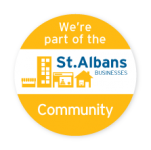 Aim to sell, donate or dump all unwanted items. 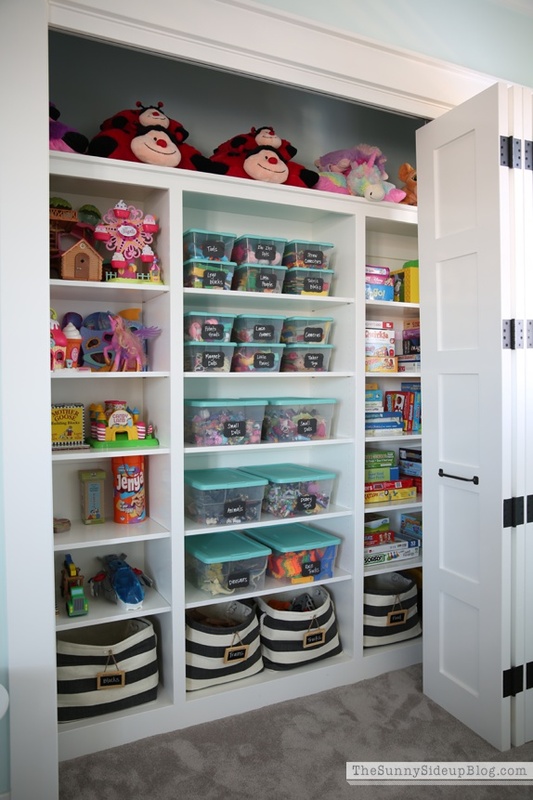 Look at your current storage solutions in their bedroom. Can this be improved upon? The garage can be quite a chore, so save it for a dry weekend. Take everything outside and sort through it systematically. Consider hiring a skip for this job, as the items you throw out tend to be larger. Again, this is a bigger job and can easily take a few days. Take everything down from your loft and systematically sort through the items. Buy plenty of large plastic storage boxes beforehand, so that items for keeping can be placed back in the boxes, properly labelled, and easily stored.